My family has a tradition of gathering together at Costco (of all places) for dinner once a month. (For those of you who don’t know what Costco is – it is a lot like Sam’s Club). You see, we all love Costco and their pizza is pretty good. So, my mother, sisters, brother and their families all gather together with mine at Costco. We take up about 3 – 4 tables in the eating area and eat our pizza, hot dogs or chicken rolls. What makes it even more fun is that we find that our families intermix with each other. I often find myself eating with one of my sisters, my niece or one of my nephews. My kids take the opportunity to sit with their cousins, aunts and uncles. After eating dinner, we all go shopping. Costco has lots of things that we like, but my big weakness is the book section. I absolutely love to read….especially fiction. So, I always budget a little money for spending on books. As we pulled into the Costco parking lot, I noticed a bunch of shrubs planted too close together. Unfortunately, a very common occurrence – especially in parking lots. The landscapers prune these Texas sage shrubs into ‘cupcake’ shapes’ to keep them from growing into each other. You would have a hard time telling that these are actually flowering shrubs, wouldn’t you? 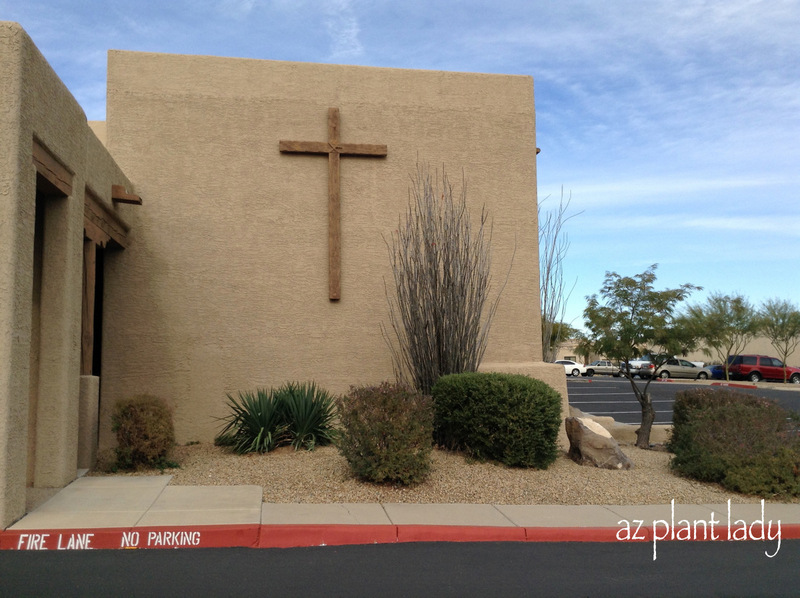 In a nearby parking lot island, there were other crowded shrubs…. These Feathery Cassia (Senna artemisoides) have been planted very closely together and the landscapers are doing their best to keep them pruned so that they don’t touch each other. 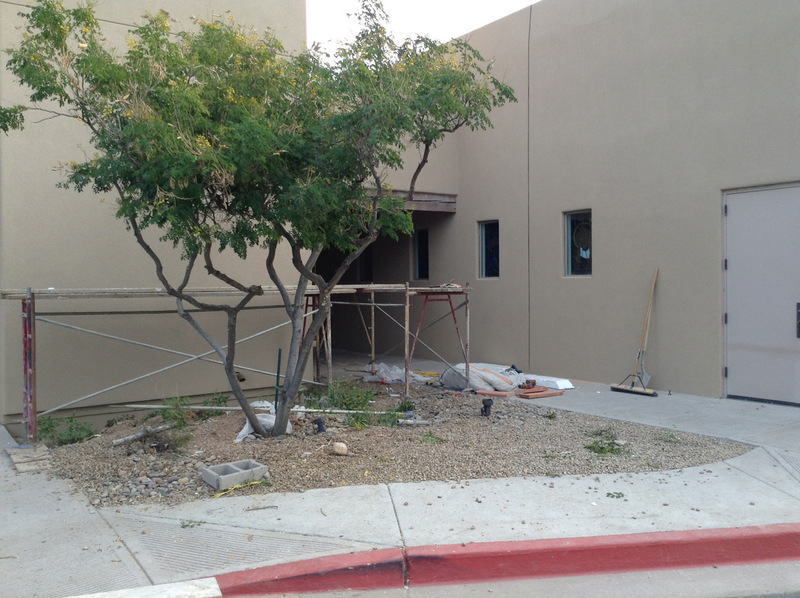 The problem is, is that it is ugly and isn’t all that healthy for the shrubs. So, here is my solution…. How about letting the shrubs grow together and form an informal, flowering hedge? That would mean less maintenance and more attractive shrubs. 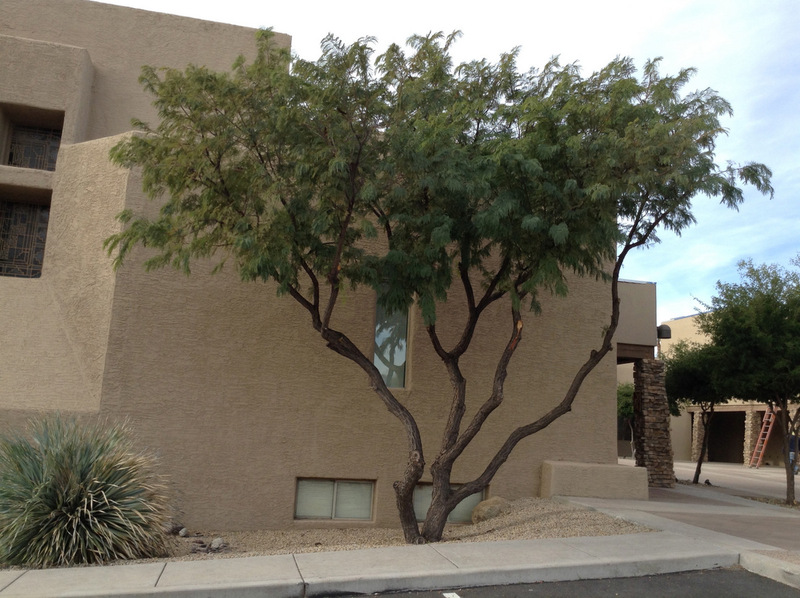 **If you have a similar problem, try letting your shrubs grow together. You’ll appreciate the lower maintenance and your shrubs will actually flower. Last night, I made 6 dozen Snickerdoodles using one of my favorite recipes. I got the recipe for my wedding shower almost 26 years ago. They are very easy to make and taste delicious. Add the flour, cream of tartar, baking soda and salt and mix well. Roll the cookie dough into small balls, about 3/4″ and then dip into cinnamon sugar. Place on an ungreased cookie sheet and bake at 350 degrees for approximately 8- 10 minutes. Makes 5 – 6 dozen. Downsizing Is A Good Thing – But Not Always…. Well anyone who knows me well, would definitely have a hard time believing that I actually wrote a title like this one. For those of you who may not know me personally….I will let you in on a secret – I love getting a good deal and living simply. My mother (Pastor Farmer) is very good at this as was her mother, so I guess it is in my DNA. I love shopping sales and coming home with items that normally would have cost much more. When I quit my full-time job as a landscape designer, we had to make some cuts to our household budget which was a challenge that I actually enjoyed, especially at the grocery store. My daughter Ruthie is always asking me how much I saved each week at our local grocery store. I think she is on her way to becoming a saver as well. I am also a huge proponent on saving money in the garden as well and it is really not difficult to do while still having a beautiful garden. Now you would expect that the best way to save $ in the garden is by downsizing and you would be partly right. You can definitely save money by downsizing, but it does not always save you money. I am going to share with you a great way to add beauty to your garden, decrease your maintenance and save money. It is really so simple that I hope you are inspired to try this in your own garden. Okay, are you ready? All you need to do is to purchase shrubs that will grow to a large size. You may be asking, is that all? YES! Many shrubs will grow to a large size, which takes up space in the garden. The more space covered equals fewer plants needed. 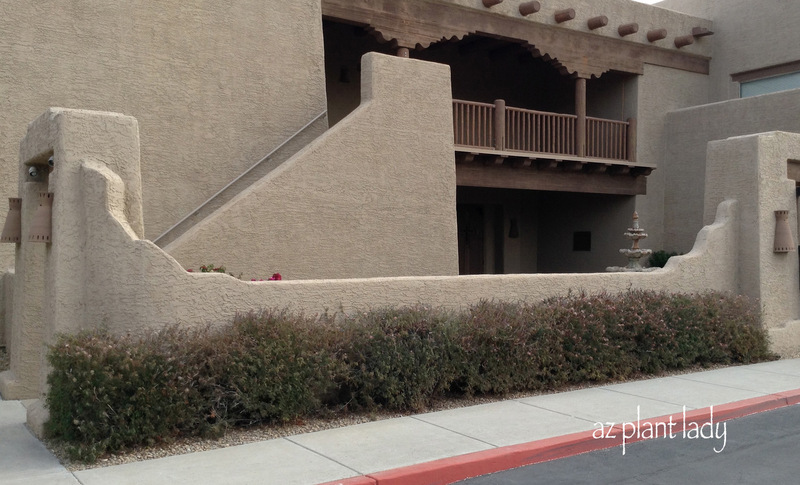 Large shrubs also are great at covering up bare walls, hiding pool equipment / air-conditioning units while adding beauty, particularly if you select a flowering shrub. 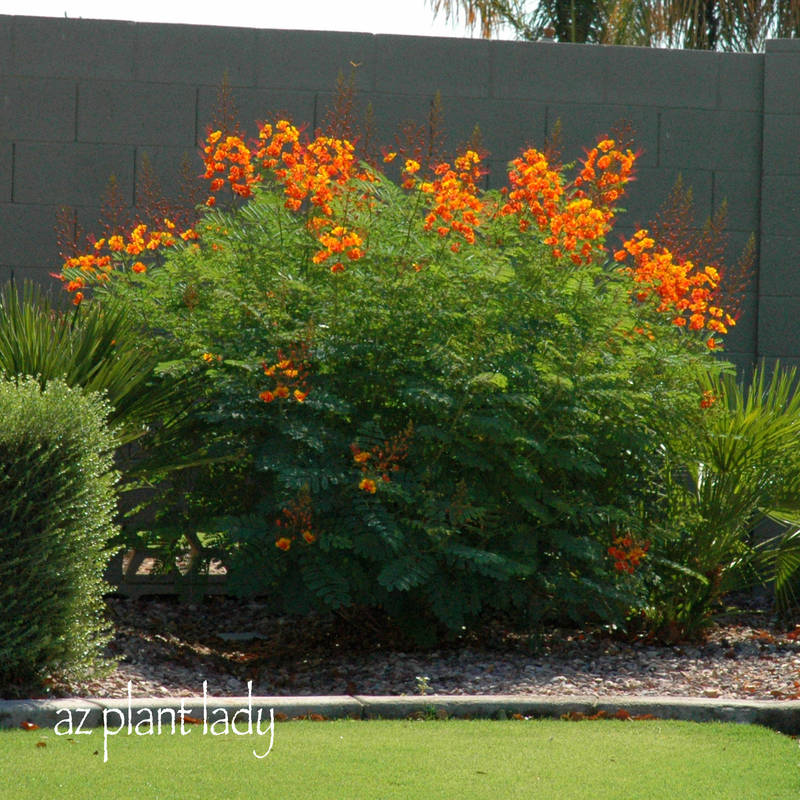 My Arizona Yellow Bells (Tecoma stans stans) shrub easily grows to 7 ft tall and wide. Mine covers approximately 30 sq. ft. of area in my garden while providing beautiful flowers 9 months out of the year. It also helps to cover up my bare wall. This is a ‘Torch Glow’ Bougainvillea that I placed along my father-in-law’s back garden wall. Paired with two others, their unique branching habit along with their bright colors really provided a great focal point. Now people either love or hate Oleanders (Nerium oleander). For the average garden, I do NOT recommend planting the large varieties. But, the dwarf forms of Oleanders do grow to a good size and can reach heights of 6 ft. Since Oleanders are so easy to grow, many people have them in their gardens. So, if you would like to include some in your garden, I recommend trying a red flowered variety since most Dwarf Oleanders seen in landscapes are the pink and salmon colors. (Be aware that all parts of Oleanders are poisonous). 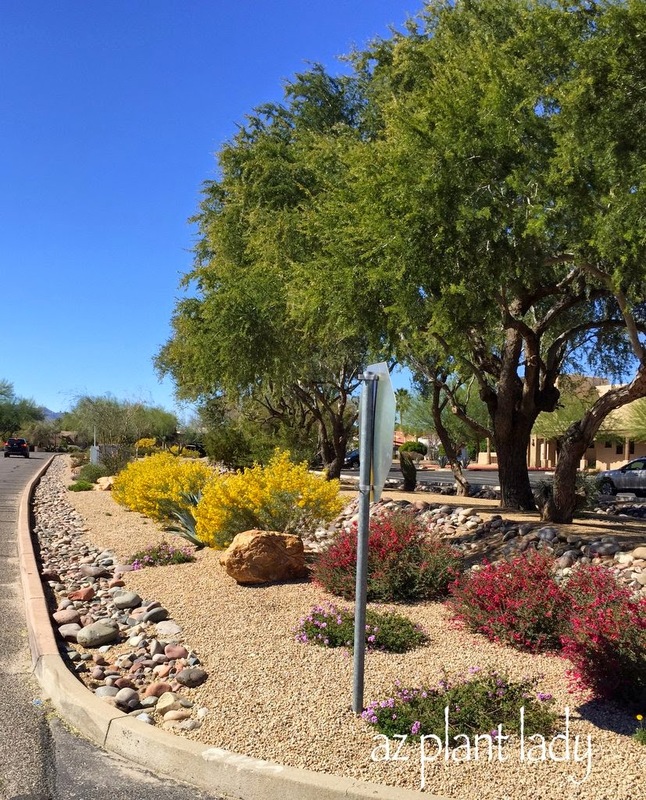 When you talk to newcomers to the desert southwest, they often ask about the beautiful large shrubs with orange/red flowers are planted along the freeways. Red Bird-of-Paradise (Caesalpinia pulcherrima) is beautiful in the summer landscape and as you can see, hides a bare wall very well. Maintenance in my zone 8b area is very simple – just prune back to 1 ft. in January and they will soon grow back to 6 ft. high in the summer months. **Another helpful tip to help prolong bloom – prune back lightly (by 1/4) in August to extend the bloom period throughout October and early November. If you prefer more green then flowers, then the following shrubs may be more to your taste…. You could easily put 5 small shrubs along with 3 groundcovers in this area….where just 2 Photinia (Photinia fraseri) fit very well in the area above. Many of you may be surprised to find out that many of the shrubs you already have in your own garden can grow quite a bit larger then you let them. The solution to the problem is quite easy…..stop over pruning them and let them grow. The alternative is to plant multiple shrubs in a given space and as they grow, you are forced to keep pruning them back to keep them from crowding each other. Well how about buying a single 1-gallon shrub (you don’t need to spend extra for a 5-gallon) and give it space to grow? You will be rewarded with more $ in your pocket, a large beautiful shrub and fewer plants to prune and maintain. 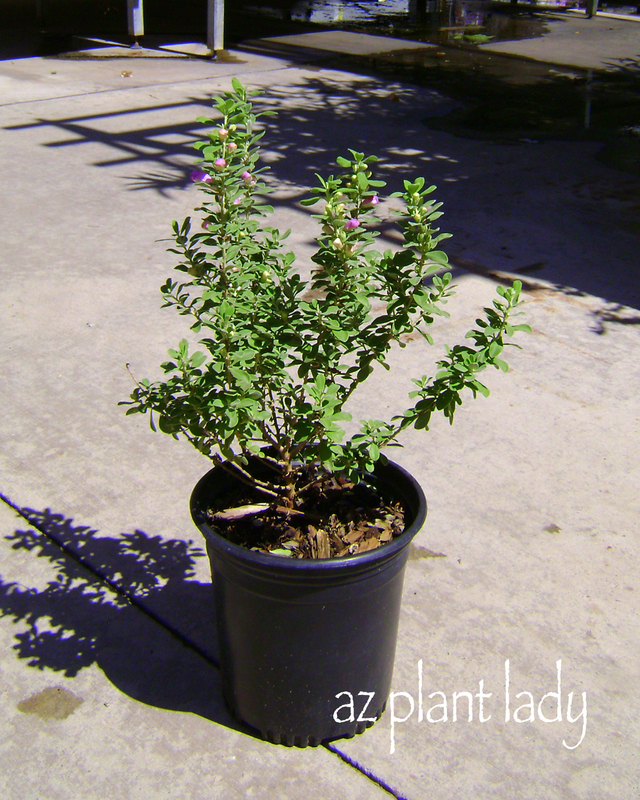 Yes, your new 1-gallon Texas Sage (Leucophyllum frutescens) will look scrawny – but not for long…. You may be wondering where my next post on our trip to the east coast will come. To be honest, I wasn’t sure if they were becoming somewhat boring – especially for those who read my blog for gardening topics. So, I thought that I had better write a gardening post. I promise that I will write more about our trip – our visit to Amish country was just fabulous.